In a medical emergency, every second matters. For people with life-threatening allergies, quick and easy access to treatment can have life or death consequences. 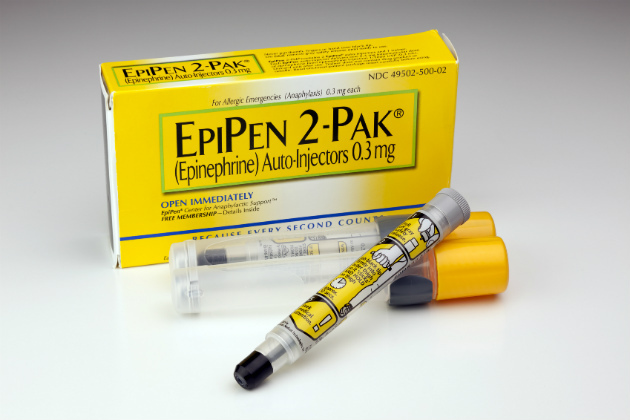 One common epinephrine auto-injector for allergic reactions is having some trouble. Some EpiPen, EpiPen Jr. and authorized generic versions of the product may not easily slide out of their carrier tubes, which could block quick access to the life-saving device in an emergency. This, according to the U.S. Food and Drug Administration (FDA) in a letter to healthcare professionals on Nov. 2. Pfizer, the manufacturer of the EpiPen, said in a letter to healthcare professionals that — in a very small number of cases — a label sticker on the auto-injector was improperly applied in some cases, causing resistance when removing it from its carrier tube. "In some cases, the patient or caregiver may not be able to quickly remove the epinephrine auto-injector from the carrier tube," the FDA said, adding that the auto-injector and epinephrine it delivers are “not affected by this issue” and can still be used as prescribed. The EpiPen is widely prescribed and injects a dose of epinephrine into a person’s thigh to stop an allergic reaction. Pfizer’s letter points out that the problem is extremely rare (one auto-injector out of every 14,286). It also asks patients to contact Mylan Customer Relations at 1-800-796-9526 if an auto-injector does not slide out easily from its tube or if the label is not fully adhered to the auto-injector. The FDA asks health care professionals and consumers to report adverse reactions or quality problems to its MedWatch program online at www.fda.gov/medwatch/report.htm or by downloading and completing the form, then submitting it via fax at 1-800-FDA-0178.